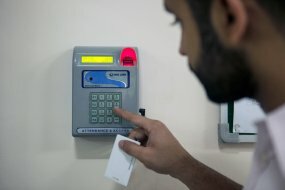 Experience the new world of biometrics with Classic Model, which is exquisitely made to serve your purpose of attendance system and access control. Made with latest technological array including unmatchable features make it a perfect solution. The Classic Model have the recording capacity of 62,500 records with up to 9,560 finger templates (that can be extended up to 25,000 for 1:1 matching). 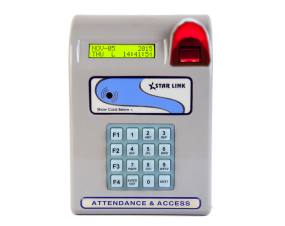 It can be installed in any kind of set-up where you want to maintain the attendance records of employees. 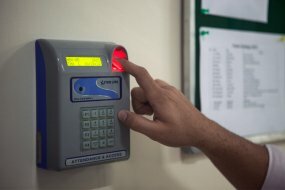 Featuring a 16 characters x 2 rows of display, which show the details of the employee during punching. This device runs on multiple operational modes. The built in TCP/IP connectivity helps to get the data on a single click of mouse. This device comes with multiple communication modes which makes it more versatile to be used for different applications. Additionally, any kind of customization can be done to serve the purpose of clients. Classic Model is available in 3 model, depending on its operational mode.